The power in positive thinking is proven to help broaden ones perspective and sense of possibility in life. The ability to meditate or apply focused attention also helps with cognitive brain functioning and shifts frontal brain activity to neural patterns associated with positive emotions. Meditation called to me over 6 years ago and there is still the mind set that my life, or my experience of life is only getting better and I attribute that to my practice and by continuing to surrender to what i think is possible. Our left pre-frontal cortex is related to meta-cognition (the ability to watch our thought process) and decision making. By watching our own mental processes we pay attention to patterns which then become an information channel to step into our empowerment. Based on the information perceived we gain more freedom to respond to our environment versus being stuck in a cycle of unconscious conditioned responses. Two ways to increases activity in this region of the brain are possible through repetitive practice; being in either a receptive state of awareness, or through a more focused narrow form of attention. A Narrowed (focused field) meditation might be on your breath, by visualizing your chakras, aura or energy flowing in a specific way or to healing specific areas. In open meditation we become aware of the sensations that enter the consciousness that we might not have otherwise noticed. It is more broad, receptive, open meditation to perceive the stillness (Divine) within and around you. It has been shown that after 7 seconds of focused attention our thoughtforms create materialized entities, becoming a reality in our life experience. This is happening regardless of your level of consciousness, so why not be more conscious of what you want, of what you are creating and manifesting. How you've been conditioned, what impressions and resourcing tools you have available to self regulate will influence what you manifest. If you continue to multi-task, (We've been programmed to be prideful of this) and not develop your power to focus and bring presence to one thing at a time, you are missing out on harnessing your vital energy. In distant healings, studies show the best results were from people sending prayer with compassionate based intentions. Compassion and empathy are innate in our makeup and can be generated from a person 'seeing' themselves in another's shoes.. or experience. Whether its because of mirror neurons or our ability to bring awareness to our heart to feel for another person or place - no doubt we have a profound affect on one another. Quantum physics says that everything is energy so if we are able to apply great concentration and focus though meditation, prayer and intentional thoughts, we can influence the ability to help ourselves, another, or the Mother Earth heal and recover faster with ease and grace. 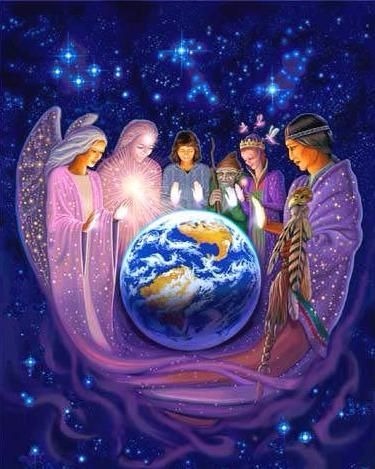 Each week we are going to do a group earth healing meditation, It doesn't matter what religion, continent, hue of skin tone, gender, occupation, or clothing you wear, these are all perceived separations, we are all a part of the global community and each one of us effects the other. We can choose to live more consciously and compassionately towards creating a brighter more harmonious collective world vision. But we must believe it is possible! Yessss !!! When you catch yourself in old thought patterns you can choose to redirect your focus using this physical location as a reference and tap into your innate empathic skills to send love, light, healing, cleansing to yourself FIRST -- then to the chosen area of the week. It is estimated that the average child watches four hours of televison daily. Recent studies show that violence has increased to 61% on regular broadcast television shows. While it is normal to be a part of society and be exposed (directly) or to images of conflict from around the world, research has shown that there are no psychological benefits to repeated exposure of violence. In fact when we expose ourselves and our children to news that sensationalizes violence, video games and glorified war movies we are choosing to slowly numb ourselves. As the 'Hero' (Be it a Nations military force, television, movie, or video game superhero) inflicts violence one then begins to unconsciously side with the aggressor and feelings of empathy for 'the other' decrease and distorted justification for ones actions precipitate. As science can now explain, mirror neurons in the brain form the basis of our emotional connection to each other, our community and culture. Children exposed to television with repeated acts of violence learn to accept this as the norm. They literally mirror this behavior and are overexposed which typically leads to a sense of separation from our innate empathic, altruistic feelings. Moreover, levels of cognitive brain function (learning, reasoning and emotional control) are thereby reduced and demonstrations of more aggressive behaviors result creating dissasociation that favors a childs tendency towards violent acts. In an online report from 'The Mind Unleashed' in 2014 it reported "A study of video games revealed that extended play can result in lower blood flow to the brain, sapping emotional control. Furthermore, role-playing games of lifelike war and police state scenarios serve to desensitize a connection to reality." Consciously we wouldn't say we are nourished from violence, but what is it feeding within us ? Why are we continuing to expose ourselves to it ? By choosing to watch television, movies and internet/videos that normalize violence and death we are affirming that we accept it. Are we not ? We 'like' and 'share' images and videos just for the sheer fact that it exists. Because our thoughts can become things ? Where are these distorted ideas coming from ? My friends, collectively we....are....numb. I bring this up to urgently reflect upon how violence effects cognitive brain function, relationship to self, to others and the collective global community. One basic law of physics states that everything happens for a reason and all actions have a consequence whether we are operating unconsciously or consciously. From one perspective our actions are the effect and thoughts are linked to the cause. If people are witnessing violence and thinking violence then where are we now ? And more importantly where are we headed ? Take a moment to ask yourself how you relate to conflict, anger, rage, criticism. What emotions arise ? Just watch your reactions and you will get a clue. What are your initial thoughts that arise to these questions ? With proper motivation we can quickly begin to be the observer of our reactions to get clear answers from our past impressions, memories and conditioning. 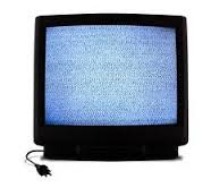 In our homes we can be more conscious of why we are watching television (first and foremost) to what type of television programming we are watching and how long we are exposing ourselves and our impressionable future generations too. We can monitor computer programs and video games. We can create more dialoge in our community, and school systems. All of these things and more can we do on an external level to create and prevent violence from numbing and robbing us of our connectedness and interdependence with one another. ​	If we are to look deeper for more authentic and lasting changes, we must turn inward. Isn't it so ? What is it within us that perpetuates negative thoughts and behavior ? When do angry, violent or aggressive thought patterns pop up ? Can we separate ourselves from our thoughts that arise before we react ? Do we react immediately or can we make more conscious choices with different, new responses ? On a further level, when we become conscious of our thoughts how do we relate to them ? Are we critical and judgemental when a negative impression passes by ? Can we come to a place of equinimity and clear discernment ? If we continue to act in response to a perceived violent and scary world that is projected through media and the entertainment industry, we perpetuate this illusion. We remain victims, we remain traumatized, numb and trapped in a world that desperatly needs us. I ask you: do you want to be your own victor ? Do you truly want peace and harmony ? This conscious path is the path within. When you bring your attention inward you awake to your deep reserve of authentic power, courage, truth and perseverence that has always been there. With clarity you realize that you have great purpose and potential and in fact, peace, bliss and love are the very essence of you. Perhaps you begin to see that the idea of someone robbing you of that which is inherent is absurd. At this great time of change we can redirect the individual and collective visions for the future. If we come from an authentic loving place we can add to the collective conscious by being peacful. 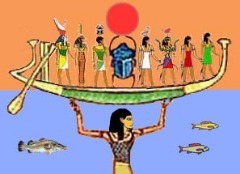 The fact is, the old ways are dying but struggling to maintain power through fear and mind control. When we focus on what we positively want and not on what we don't want we Co-create the future thought by precious thought and step by gentle step. After all, we are the ones we've been waiting for. ​	Last mid-October I kept seeing the letter X. Day after day I would see it in the subway, on billboards and the words 'Vagal' and 'Vagus' kept coming to mind. Why were these words sticking out and why was the letter X jumping out so prominently ? As the years have passed I've learned to listen to the voices and clues that I receive more and more. I trust they are trying to tell me something. This time they were directing me to look into the Vagus nerve. For those of you that don't know, the Vagus nerve is the 10th of 12 cranial nerves and is also known as nerve X. Also known as the 'wandering' nerve, it starts from the top of the spinal cord all the way down through the pharynX, LarynX and thoraX. That's a lot of X's, right ? 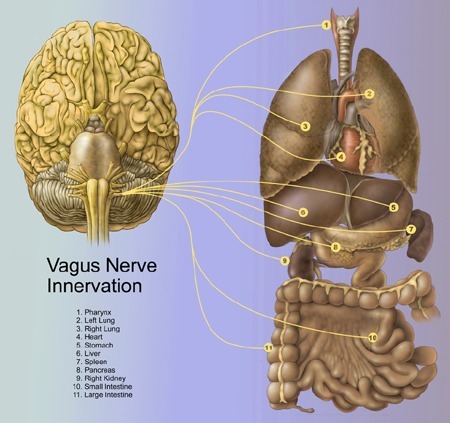 Biologically speaking the Vagus nerve is connected to processes in voice production, our digestive process, inflammation responses and regulates patterns between breathing and our heart rate. The Vagus nerve, stemming from the medulla oblongata which regulates our autonomic nervous system is our interface with the world. It is used in long distance readings and healings and is related to feelings of better social support and acts of altruism. I was not surprised to read that it is considered the 'love nerve' or 'caretaking nerve'. People with higher vagal profiles tend to have more compassion and when people are shown images of others suffering or hear inspiring stories, this nerve 'fires up.' Those with higher vagal profiles also have increased positive emotions, are more resilient and are trusted in interactions with strangers. So what might one do looking to improve and strengthen their own vagal profile ? The two major things found are exercise and meditation. If we can use these practices to help regulate the Vagus nerve (get more parasympathetic and receptive) we can help rejuvenate our bodies physiology and regulate our life ! Anatomically speaking this mind-body nerve runs through the smooth muscle of the diaphragm. With deep, full inspirations we can really begin to stimulate, bring balance and harmony to our nervous system and simultaneously to our thoughts and emotions. Intentional full breathing slows the heart rate, eases physical tension and it helps settle the digestive process. The only time our diaphragm fully relaxes is on the exhale of deep breathing as we are fully engaging this smooth muscle. Remember if you don't use it, you lose it and your breath is the key to everything. If you have shallow breathing, chances are you'll identify with feeling more nervous, anxious and disconnected in life. When you begin to feel ungrounded, overwhelmed or emotional this may mean your head is not in the present moment and simply put it is too far ahead of the body (I.e. subtle energy is lighter and faster than more gross/physical matter.) So to reconnect and anchor in the body we can stimulate the diaphragm through vigorous exercise which inadvertently strengthens our parasympathetic nervous system. Or we can pause, focus and take deep breaths in through the nose then exhale slowly through the mouth (as if blowing through a straw.) Go ahead and close your eyes. On a day-to-day basis we might feel stress, have moments of discomfort or uncomfortableness in certain situations. This breathing will help recalibrate our system. This simple focus on breathing will bring more internal harmony on a subtle level and in time manifest in physical well being and longevity. When we are short of breath, mind racing in a sympathetic state we simply cannot relate to others as easily nor can we see value in why it would be of benefit to us. At those times we are only concerned with ourselves and on a basic level, for our own safety. Me. Me. Me. We stay busy forgetting that we are here because of others and on a deep level crave to share ourselves and be acknowledged by others. We have the most luxuries and comfort we've ever had as a human race and are not in immediate danger. 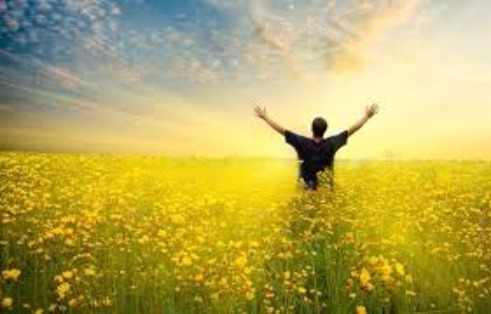 However, we keep re-creating these feelings and this insanity then are somehow expecting different results of success, happiness and peace without making internal connections to our experiences. When we are calm and relaxed we are naturally more receptive and open. We have a choice to bring presence and fully listen to ourselves and to others. Each of us desires to be heard and recognized, so why not start now and continue with each breath. With focused slow breaths, exercise and even visualization of this miraculous wandering nerve inside, we can attune to our own mind-body connection. As research has shown we can feel an increase of positive emotions and vitality. We can make empowered conscious choices moment by moment while fully connected to the body. Chances are you'll feel more grounded, focused and loving towards yourself, your loved ones and world around you. Remember what happens in Vagus doesn't have to stay in Vagus. Spread that LOVE. In the way of put down and blame. This is time for positive praise. You know sometimes words get in the way. Lead by example: We must elevate. Sometimes reactions they come to my face. Conditioning of the supreme human race. Healing thyself is where we begin. Transmits messages, have immune system issue ? New generations come here to teach Us ! So kids shipped off- Conformity bus. Don't tell us your dreams ! And drinking every night - socially acceptable right ? We forgot our similarities. WOW. is where we need to begin. I am so sick of these outdated thoughts and ready to experience the world in a new way! How about you? It's simply NOT the truth or it's no longer in alignment with MY TRUTH. Who is speaking when you hear that voice ? Are you able to separate the mind, projections, or collective pain body from your own deeper knowing ? The definition of competition is based upon two (or more) organisms occupying the same space, competing for needs that appear scarce. In the case of organisms that don't have a brain or a higher operating system things aren't personal it's just; the strong survive, and the weaker one will not survive in the same way. I do know that fundamentally we are inhabiting a multicellular, living, vibrating organism so our instinctual drive for competition and survival go far back. But have we not also survived in the spirit of cooperation, in harmony, for mutual benefit ? Just as the endosymbiotic relationship between mitochondria and a larger Host bacterial cell joined together, we too can come together and thrive! We have similar goals that CAN and ARE being shared and supported. MY DIRECT EXPERIENCES HAVE COMPLETELY SUPPORTED THIS EVIDENCE. In fact I'm not alone in feeling that this is the only way. You see, It is up to us to remind each other why we came here. WE-ARE- IN-THIS-TOGETHER. Do you remember now dear friend ? Competition: is the opposite of cooperation. It arises whenever at least two parties strive for a goal which cannot be shared or which is desired individually but not in sharing and cooperation. Cooperation: Is the process of groups of organisms working or acting together for their common/mutual benefit, as opposed to working in competition for selfish benefit. If we are smart, adaptable living organisms (which we are :) I want to look out for you! Your success is my success. I acknowledge that essence in you equally within me. Underneath all our stories and masks and separation of language, country and color. We are more the same than different. I challenge us to stop telling the story of independence.. of how 'independent' you are or that you need to force your way to the 'top'. Perhaps this story evolved because someone at some point was not there for you, perhaps you felt let down, not supported or were loved conditionally. I understand. And chances are, if you open up and talk with other people like yourself, they have had the same experience! So.... NOW is a new moment. A new opportunity, and perhaps, just maybe the way to take action to integrate this new belief into your reality is by........ being there for someone else! ​But first, I challenge you to be there for your Self. To listen, hold, fully support, believe in and cooperate with your heart with your truth and all your vulnerability and infinite potential! This openness and vulnerability are the very things that allow you to receive and feel support from others. Then, you can truly experience the reality - that EVERYTHING AND EVERYONE WANTS ME TO SUCCEED ! Love and success to you !